A. Taxation of the Church. The latest tax exemptions in favour of the Orthodox Church as well as in favour of all known religions in Greece with no exception, were repealed on April 23, 2010 by law No. 3842/2010. 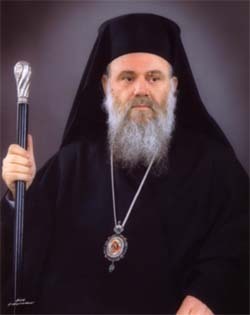 Henceforth, the legal entities of the Orthodox Church have been disbursing : (1) a tax on their real estate, and indeed at a tax rate three times as high as the one applying to the rest of the public organisations of the country; (2) a tax on the rents they receive each year from their real estate at a tax rate of 20% of their value, namely higher than the one applying to private individuals; (3) a complementary tax on their revenues from edifices and leased lands at a rate of 3%; (4) an advance payment of tax for the following year at a rate of 55% of the value of the aforementioned complementary tax; (5) a tax on inheritance and donations at a rate of 0.5% of their value; (6) a stamp duty fee and Agricultural Insurance Organisation rights at a total rate of 2.40% on each pecuniary contribution from the faithful to the Holy Churches by reason of sacred practices. Moreover, the aforementioned legal entities of the Church withhold and pay to the Greek Government all taxes which private tax payers are also obliged to withhold and pay in their transactions with third parties (tax on salaried services, VAT etc.). In accordance with tax law, only spaces used for worship and public benefit purposes by all religions and denominations with no exception are exempted from the tax on real estate. Thus the Central Service of the Church of Greece, the Holy Metropolises, the Parishes, the Holy Monasteries and the Ecclesiastic Foundations paid for the year 2011 a total amount of 12,584,139.92€ in taxes. C. The revenues of the Church. The revenues of the Church derive from the rents of Its remaining real estate, the dividends from bank shares and voluntary contributions from the faithful. It should be noted that, as of 2008, paying dividends to bank shareholders has been suspended by law, while the real estate market is also going through a severe crisis. Despite all that, in October 2010 the Church of Greece supported the Greek economy by partaking of the share capital increase of the National Bank of Greece with the amount of 27 million euro, derived from bank borrowing. Today these shares, apart from the fact that they yield no dividend, have almost zero resale value. It should be emphasised that the Church of Greece has no revenues from commercial ventures or business activities in general.